Seattle held its first of 10 OTAs on Monday. 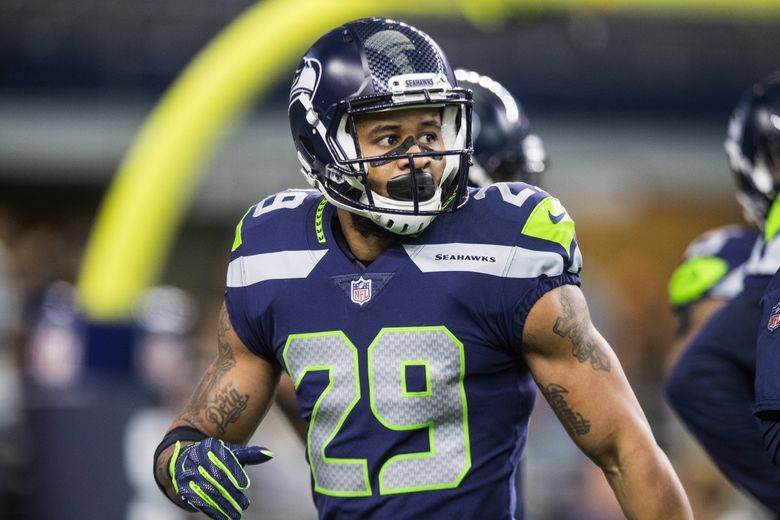 Earl Thomas remained away from the VMAC as the Seahawks began Organized Team Activities on Monday, the beginning of the final phase of Seattle’s official offseason program. But if the six-time Pro Bowl free safety was out of sight from what are voluntary workouts — with the Times confirming that Thomas was not there — it doesn’t mean he was out of mind. In an interview with ESPN 710 Seattle Monday morning, middle linebacker Bobby Wagner gave Thomas an unprompted nod of appreciation. The comment was meaningful for two reasons — one, it illustrated that Wagner plans to take an even more vocal leadership role with the Seahawks after an offseason when many of the team’s most dynamic personalities have moved on; and two, it also showed Wagner has put a brief public tiff the two had last December in the rearview mirror. Recall that after Seattle’s shocking 42-7 loss to the Rams, in which Wagner tried to play with a sore hamstring, Thomas said maybe Wagner and a few other injured Seahawks shouldn’t have played. Wagner quickly deleted the tweet and the following week Wagner said he “mishandled the situation’’ and that he had talked to Thomas and the two had ironed things out. Thomas, talking to reporters after Wagner had, didn’t exactly 100 percent corroborate that, saying “there (was) no conversation’’ and “if that’s how you feel, that’s how you feel.’’ (Intriguingly, the two have long shared the same agent, David Mulugheta). That spat became old news quickly when the following week Thomas made his infamous visit to the Dallas locker room and his “come get me’’ comment to Cowboys coach Jason Garrett, which kicked off an offseason of rumors about Thomas’ future with the Seahawks. It’s a future that remains unclear. Thomas is entering the final season of his contract, due to make $8.5 million in 2018. He told ESPN in January he would consider holding out if he did not have an extension before the 2018 season. Later, after he made comments on a talk show in Ireland that “nobody knows’’ what his future holds, he took to Twitter to say “I want to be a Seahawk’’ and hopes he can retire with the team. Still, the Seahawks acknowledged they fielded trade offers for him before and during the NFL draft. It’s thought Seattle might have done a deal with Dallas had the Cowboys offered at least a second-round pick. But Dallas offered only a third, so Seattle stayed put. Seattle GM John Schneider also later said he has been told by Thomas’ representatives that Thomas will not hold out. But Schneider also said the team has had no talks about a new contract with Thomas, who would likely want a contract topping the $13 million a year of the highest-paid safety in the NFL, Eric Berry of Kansas City. That has led to the idea that Thomas could well play out the 2018 season and then potentially enter free agency (the Seahawks would also have the option of using the franchise tag on him though Seattle has not used one since 2010 and odds would seem against them using it for Thomas a year from now). While the Seahawks for most of the past five years or so have tried to avoid having “core’’ players enter their final season of a contract without an extension, things are different now with the team having begun to turn over the roster and also appearing more reluctant to offer big third contracts to veterans. So yes, Thomas’ future remains clear as mud. And while it’s worth reiterating that OTAs are voluntary, it likely says something that Thomas is staying away for now. More telling will be if he will attend mandatory mini-camp June 12-14 — assuming he continues to skip OTAs — for which he could be fined up to $84,435. With Thomas absent for now, Richard Sherman, Cliff Avril and Michael Bennett no longer with the team and Kam Chancellor unable to take part in drills, Wagner and fellow linebacker K.J. Wright are the biggest links left to the team’s 2013-14 Super Bowl glory days. Wagner has been a significant leader since the day he arrived in 2012, and has been voted by teammates as a defensive captain two of the last three years, sharing honors last season with Chancellor (either Wagner or Chancellor, or both, have been defensive captains each of the last four seasons). But in a season of change, Wagner’s voice figures to resonate more loudly than ever. The Seahawks undoubtedly hope that Thomas, at least, heard what he had to say on Monday.